Daily boat tours to the Aegean’s blue coves are one of the most preferred attractions for foreign and local tourists in the coastal town of Bodrum in the western province of Muğla. Organized tours to the coves in the district, such as Akvaryum, Dalgıç, Haremtan and Poyraz, start early in the morning. 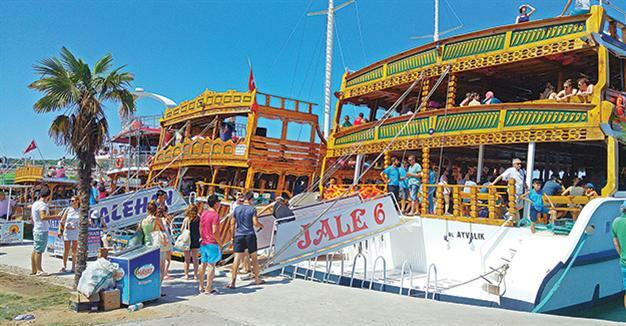 The Bodrum gullets, which look like pirate ships, take holiday-goers from Kumbahçe Harbor. The owner of a boat named Tora 3, Hakan Emir, said Orak Island was among the most beautiful coves in Bodrum. “This is a place worth seeing in Turkey. The white sand is magnificent. Each part of Bodrum has a unique beauty. There are many coves, like Karaada, Meteor Çukuru, Poyraz Koy and Tavşan Burnu,” he said.